Biography: The Edwards served as North Carolina Mission Directors for World Harvest Outreach Ministries based in Managua, Nicaragua, and led teams into that country to minister in prisons, churches, orphanages and schools. They were also Mission Directors of World Worship Center in Charlotte, North Carolina. Other countries they have ministered in are Haiti, Mexico, Zimbabwe and France. Leon is now the producer and director of a weekly television cable show Vessels of Honor that features Wanda, who is a Bible teacher. Wanda has ministered weekly on the Vessels of Honor television ministry that is broadcast in Charlotte, North Carolina. She has also ministered in churches both nationally and abroad. 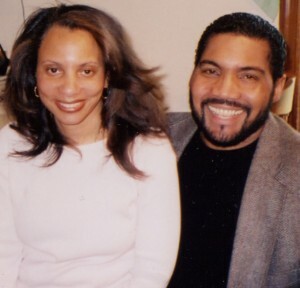 Leon and Wanda believe they are called to promote the Gospel of Christ through television. Their objective is to showcase the Body of Christ through interviews and music ministry. Their desire is to help equip the Body of Christ by helping to mature the saints as they increase in the knowledge of the Word. Strengths: The particular gifting of Leon is that of a skilled musician. He is also qualified to produce and direct their own television show. The particular gifting of Wanda is in the area of teaching. She was ordained in the summer of 1994 by Andrew Wommack as a fivefold ministry gift teacher. Family: Leon and Wanda have an adult son, Matthew.